Perfect Moment creates functional sportswear that remains stylish. 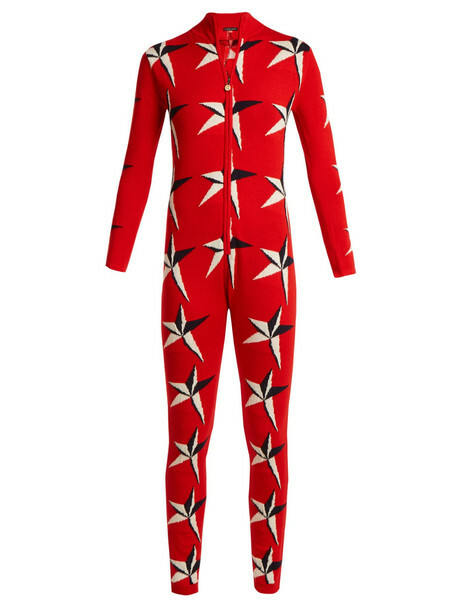 This scarlet-red Star 2 jumpsuit is crafted from merino wool patterned with the label's signature white and navy star-intarsia - inspired by the Northern Star. It has a close-fitting ribbed-knit neckline and long sleeves with a slim-fitting leg and can be fastened at the front with the zip. Wear it as a base layer under ski trousers and a sweater.